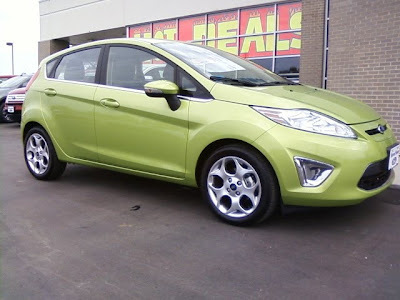 The gal who took delivery of this New 2011 Ford Fiesta has been waiting very patiently for it to arrive. Judging from her reaction, I'd say it was worth her wait. Nope.. I did not sell this one. But, I did deliver one on Wednesday evening.